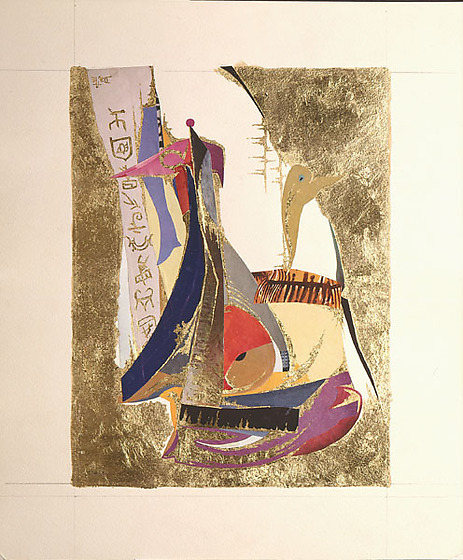 Collage with goldleaf background. Pictographs on taupe strip on left side; large buff form, top center, with duckhead-like form on right; blackstrip with gold, bottom center. Pencil guidelines visible at edges.